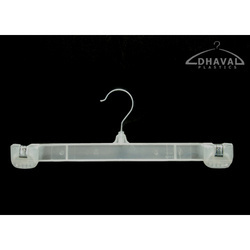 We are one of the most reliable companies in this domain and are offering Bottom Hanger. Plastic Bottom Form Hanger BF1-BT21: Plastic Bottom Form Hanger with string BT21, Plastic Bottom Hanger, Bottom Form Hanger Exporter, Bottom Hanger with form Supplier, Bottom Hanger with form. Please find attachment of Model no. KMB 12, 12" Bottom Hanger, Plastic Hook, Black Plastic Hangers along with the images. 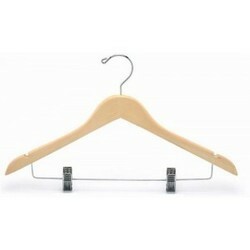 We want to sell these hangers urgently. Plastic bottom pinch clip hangers with plastic hook: 6108 - 8" 6110 - 10" 6112 - 12"